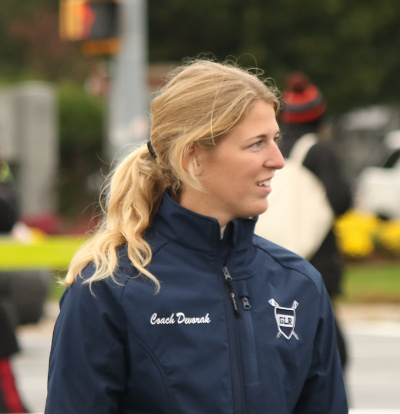 Annie Devorak is the Rowing Director and Head Boys and Girls Coach at Greater Lawrence Rowing. Annie began rowing at Independence Rowing Club in Nashua, NH. After high school, she continued rowing for 4 years at Marist College in Poughkeepsie, NY. While attending Marist College, Annie coached at Westford-Littleton Community Crew over her summer and winter breaks. She has worked closely with the middle school, adult and youth learn to row, intermediate, Competitive Masters, and Junior Competitive programs. After graduating Marist, Annie became the Novice coach at Westford before moving to Greater Lawrence.